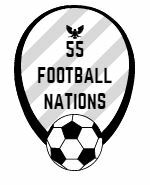 55 Football Nations was completed in Bosnia-Herzegovina and Montenegro. Three crucial matches saw relegation candidates Čelik try everything but only draw against Borac, Sarajevo break down Široki Brijeg’s blanket defence and, in the final match, Mladost outplay Kom in the searing Podgorica sun. Travel highlights include Bosnian graffiti and the beautiful Montenegrin coastline.